One of the games first announced for the Nintendo Switch was The Elder Scrolls 5: Skyrim by Bethesda. Skyrim was previewed in the Switch announcement trailer back last year. My initial impressions were not favorable, I did not want the new Nintendo console to become the dumping ground for ports of 5 year old games. Nonetheless, I believe the initial announcement did make the Switch more palatable for gamers and developers. Now Skyrim has been finally released for Nintendo’s new console and it comes hot on the heels of Super Mario Odyssey. One thing that Bethesda has done new is this is the remastered version, released last year, complete with all 3 official DLCs. I think that deserves special attention. 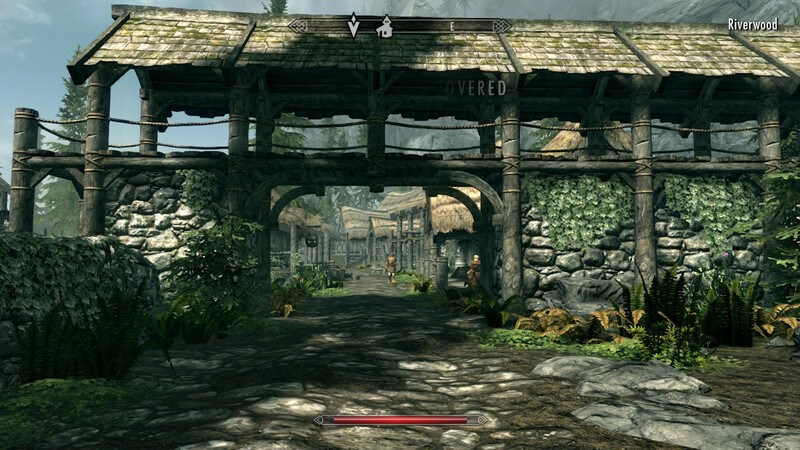 for those unfamiliar with The Elder Scrolls – it is an open-world RPG that has been going for decades. I hooked into the series with the third game – Morrowind, but it was the fourth Oblivion that rebooted the series to new fame as we currently know it. 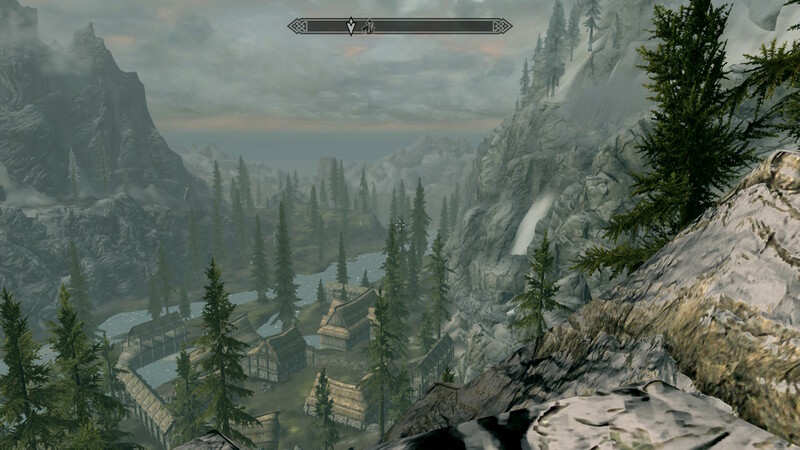 Skyrim is more than anything else a direct sequel to the fourth game. So what is the story about? 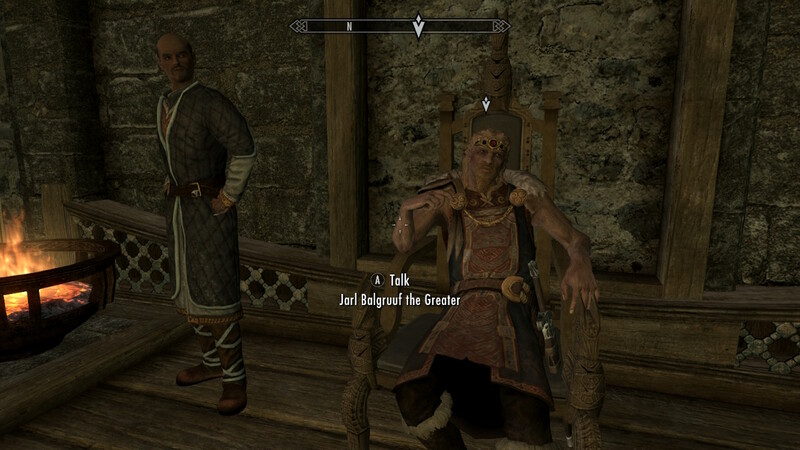 Well, it is set in the world of Tamriel, specifically its northern most province – Skyrim. Up north it gets cold and dark and so it is the perfect environment for a large quest driven story involving dragons, crypts and lairs. 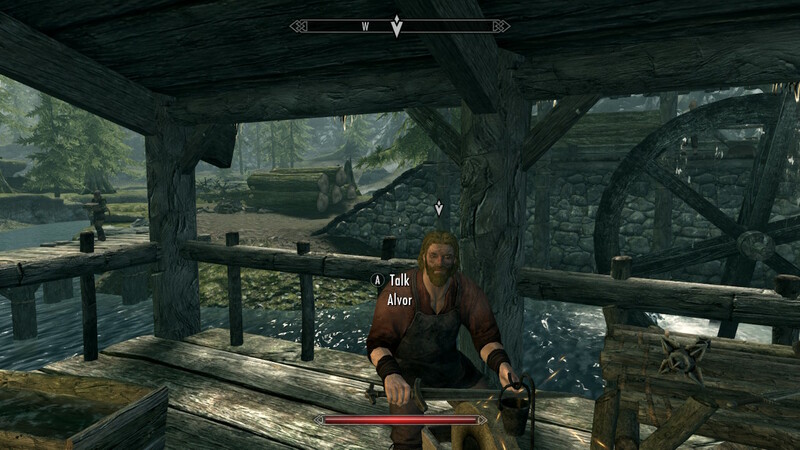 I add that there is a lot to do in Skyrim – think of GTA 5 but then with actual worthwhile meta gaming. Having spent short of a week with this game on the Switch I think I know how to judge it. Overall I would say Skyrim on the Nintendo Switch is very good experience, especially if you unfamiliar with the game. However, it is not without controversy. Skyrim is a diverse game. From combat to crafting there is a lot to do, yet nothing is set in stone. It is possible to switch to a different play style whenever you want and start exploring news ways to complete quests. Quests come in all shapes and sizes. From retrieving an artifact from a tomb to assassinating a wealthy merchant or stealing a key from someone’s pocket. The quests have always been the best part of the series. They stand in contrast to arguably silly objectives from games such as Assassin’s Creed. 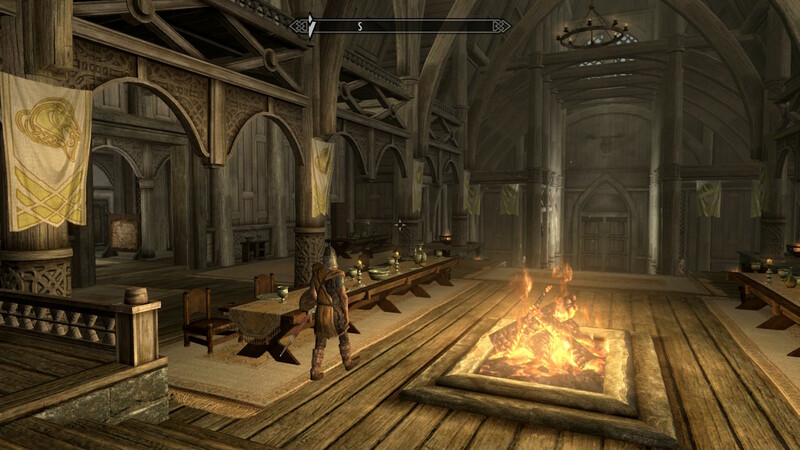 Skyrim’s gameplay does roughly follow the pattern of classes, but they do not formally exist. If you want to play as an archer you will accrue xp that way. But a level-up can be spend on any skill you want. This also includes non-combat skills such as crafting weapons and potions. 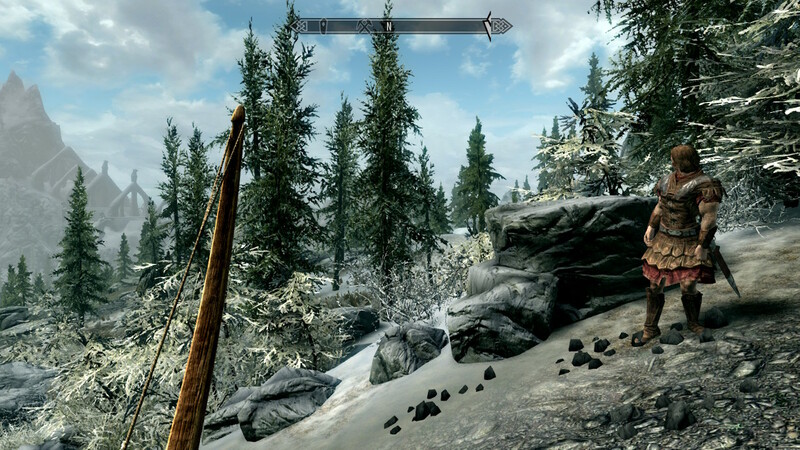 Skyrim is also a magical world so becoming a mage is also possible. 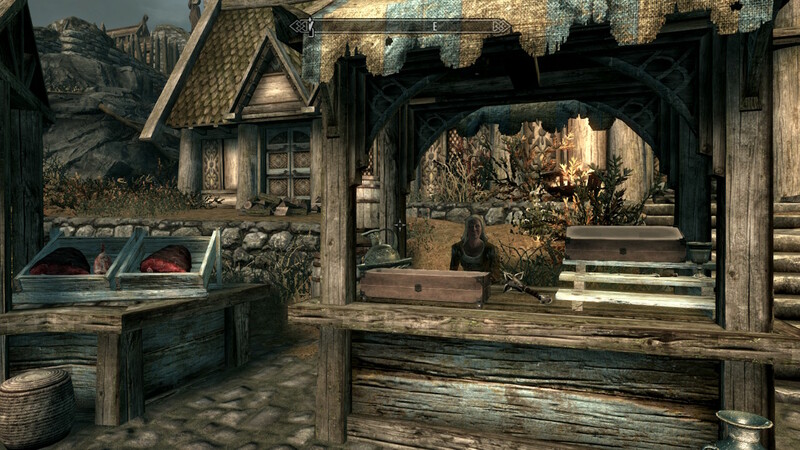 In fact, there is so much to do in the world of Skyrim you often feel as if you are missing out. Now with Skyrim on Switch you will always have a mobile version of the game handy. Skyrim is now officially 6 years old. For a game that old it is questionable to say that its graphics are worth the 60 euro’s I paid. Now don’t get me wrong, the game does look good, but not great. 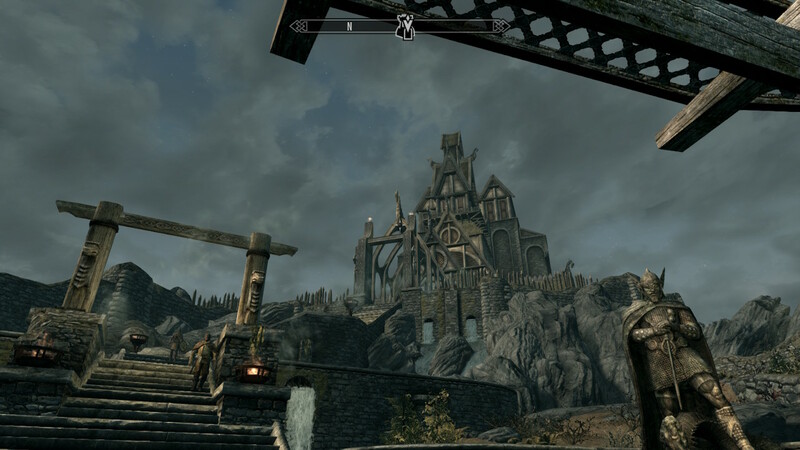 Last year Bethesda released a remaster of Skyrim, using the game engine built for Fallout 4. That gave the game a much needed bump in graphical effects and textures, but the addition can’t hide the game’s age. When I first started Skyrim on the Switch I was playing it mobile, with the Joy Cons attached to the console. Initially I considered the graphics to be much better than I expected as I took the prelude wagon trip to Helgen. There was a noticeable sheen to surfaces, a crispness I found lacking in the original game I played on the PC. In 720p the game looks adorable, especially items and characters. However, placing the Switch in the dock and playing it on a large screen resulted in disappointment. The graphics suddenly felt dated. Grass textures looked blurry and the draw distance becomes noticeable. The game runs natively in 900p while docked, but I suppose the distance from the screen in either mode is what makes the difference. Playing it while docked it is still a beautiful game, the artwork and lighting are fantastic, but not everything is great. The controls for the game are probably the most controversial aspect. 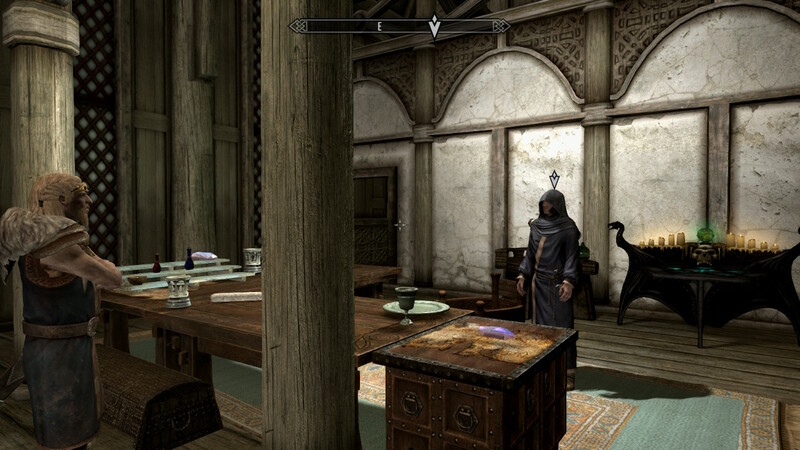 I have played The Elder Scrolls with keyboard and mouse for nearly 15 years. So you can imagine it was a hard for me to adjust to using the gamepad. Frankly this took much longer to get use than I had hoped. Moving your character is easy enough, but as you cannot quickly look left and right situational awareness is less. Combat is the biggest problem. All too often I ended up losing sight of an opponent as the camera suddenly moved in the wrong direction. At times I ended up slashing friendlies while the camera was pointed the ground. Only after several hours did I feel like I had mastered the new control scheme. The biggest initial frustration was wielding bow and arrow. As I am fan of sneaking (and do increased damage with a stealth attack) I decided to fire some arrows. Using the gamepad slows down the rate of fire considerable as aiming is awkward. Using Switch Motion Controls partially helped with aiming. By simply turning your wrist left and right, up or down you can aim quite precisely where you want. That said, playing for prolonged period with Motion Controls is tiring. Also releasing an arrow requires letting go of the should button and caused me too miss on occasion. The Elder Scrolls 5: Skyrim is a good port, but with some caveats. I have no doubt that the controls can be overcome with time. The graphics while docked may not be good but are not bad. You will simply have to decide if you want to cough up 60 euros for yet another copy of Skyrim. I decided to take a chance. 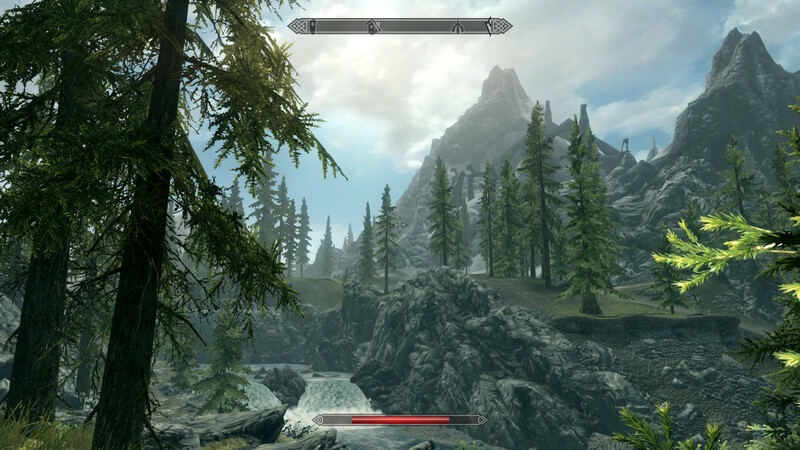 If you have never played Skyrim this should be a much easier choice. Its replay value is immense and now you have a copy you can use without having to install it on your PC.